Supreme Court nominee Brett Kavanaugh has crafted a distinctive approach to Second Amendment issues. In his view, history is everything, and courts deciding Second Amendment cases should pay no attention to the effects that gun laws have in the real world we live in today. 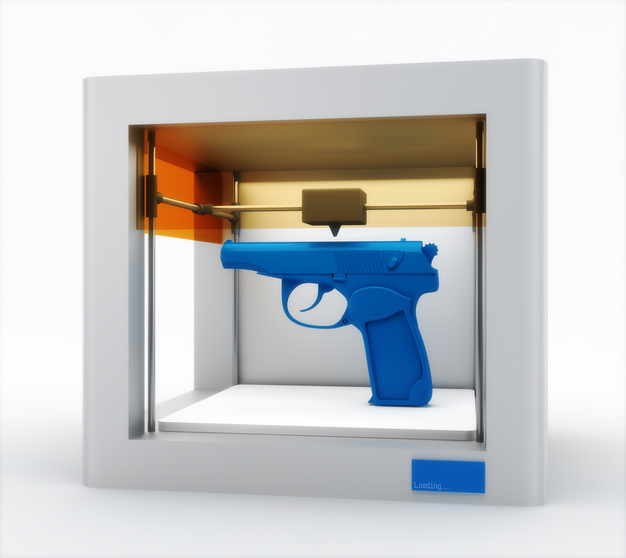 The current controversy over 3D printed firearms provides a striking example of the flaws in Kavanaugh’s approach. Ten years ago, the Supreme Court decided that the Second Amendment protects a right to have guns for purposes unrelated to service in a militia. The Court did not provide clear guidance about how judges should go about deciding which gun control laws violate the right to keep and bear arms. Since that time, lower courts across the nation have faced a wave of Second Amendment claims about a wide variety of gun laws. The vast majority of judges have adopted a two-step analysis. They begin by asking whether a challenged law restricts activity that Americans at the time of the Second Amendment’s ratification, in 1791, would have regarded as being covered by the right to keep and bear arms. If the answer to that historical inquiry is positive or inconclusive, courts move on to evaluate whether the challenged law serves government interests sufficiently important to justify the restrictions imposed by the law. This approach gives due weight to historical evidence about the Second Amendment’s meaning, but also appropriately considers modern realities like the purposes and effects of the gun laws that legislatures have chosen to enact. Brett Kavanaugh is one of a small number of judges who oppose that standard approach. In a dissent from a D.C. Circuit ruling in 2011, Kavanaugh argued that constitutional text, history, and tradition should be the only relevant considerations for courts assessing Second Amendment claims. He disavowed the use of any of the familiar constitutional tests, like strict scrutiny or intermediate scrutiny, on the ground that those tests improperly take into account the strength of the government interests served by the challenged law. The text of the Second Amendment does not say anything about background checks, concealed weapon licensing, or any other specific type of gun regulation, so the text is of little use in resolving the sorts of detailed questions that courts face in Second Amendment cases today. With no constitutional text that is dispositive, Kavanaugh’s approach essentially boils down to being entirely about history and tradition. According to Kavanaugh, looking at history and tradition means assessing what people thought about the Second Amendment at the time of its ratification and in the next few decades after that. In short, Kavanaugh believes Second Amendment cases should be decided entirely on the basis of evidence about what people thought several hundred years ago, with no consideration given to the role that firearms play in the modern world and the reasons why legislatures have chosen to put some restraints on firearm acquisition and use. Even if Kavanaugh’s method of constitutional interpretation was theoretically appealing, it is not feasible for judges to actually use it to decide any cases. Kavanaugh admits that analyzing the history and tradition of gun laws and gun rights in America “does not always yield easy answers.” But the truth is that history and tradition alone virtually never yield any real answers to anything that courts must decide in Second Amendment cases. The issues that courts face today just didn’t exist two hundred years ago in a world where everything – firearms technology, regulatory approaches, law enforcement, and so on – was so different. He’s correct, or at least he’s correct that almost all judges would reach that conclusion. But Brett Kavanaugh is in the tiny minority of judges who say that even the most urgent and compelling law enforcement and safety interests are irrelevant in a Second Amendment case. No matter how strong the government’s interests may be, Kavanaugh’s theory would require a court to take a purely historical approach to deciding the Second Amendment issues. Did Americans in 1791 think that the right to keep and bear arms included a right to use the internet to distribute code for programming a 3D printer to make a firearm? Just asking the question is enough to reveal the absurdity of trying to use a purely historical approach to decide the complex and difficult constitutional issues that arise in the modern world. History certainly should be an important element of constitutional analysis, but attempting to make it the sole consideration is hopelessly impractical.